New in to Livingstone Textiles is this amazing new fabric with UV colour changing technology! This fabric is a jersey with a difference, the colours start as black and white but when it is exposed to UV light, the colours change to pink, purple, blue, yellow! UV light comes from the sun and is even present on cloudy days so this fabric changes almost always when you head outside. When the fabric is no longer exposed to UV light it will revert back to the plain balck and white. To demonstraight this we have a UV torch in the shop so you can watch the fabric change before your very eyes! Come in to our Bridport shop and have a look, this product will soon be in our Yeovil shop to. It still is really not too late to get yourself kitted out for………………………………………………..
Get yourself along to Livingstone Textiles this half term and bring the kids too. We’ve dozens of delicious sparkle, stars and spooky stuff to drape yourself in and for decorating the house. Whether its shiny holographic stretchy stuff or gossamer net with metallic rainbow cobwebs (and it’s reversible too! ), we’ve got lots to choose from and starting at only £3.50 per metre you can afford to make some great costumes this Halloween. Wintery designs and cute cuddly animals are the perfect theme for fluffy fleece to cuddle up with as the evenings are getting colder and darker. We have some lovely new designs just in with more on the way! These fleeces are soft and warm to the touch making you want to snuggle into them. With deigns including unicorns, flamingos, teddy bears, swans, cats, jungle animals, west highland terriers, jigsaw puzzle pieces and much more! Some of these designs are even double sided giving you two different designs on one piece of fabric. They would make great blankets, dressing gowns, jumpers, hats or even super soft and warm PJs for all the family. We also have a wide range of colours available in plain fleece. There is lots to choose from in both our Bridport and Yeovil shops, why not pop in and see what all the fuss is about. What a huge range of pvc tablings we have to choose from now that we have our new designs in stock. Our favourite is this chicken print, they are so cute! Bunting is something that we love to make and use to decorate our shop and we use it to show our customers all kinds of gorgeous colour combinations. This week got to thinking about weddings, garden parties, rustic outdoor events and food fairs in our beautiful Dorset countryside and what could look any more rural than hessian? This idea is so simple to do that we thought we’d share it with you. We cut out some triangles of hessian and zig-zagged the edges to stop the fabric from fraying and then we simply spaced out the flags and stitched them onto a few metres of our cluny lace. Of course, you can always upcycle some old coffee sacks if you can lay your hands on them but if not, pop in and check out our different grades of hessian as they also look brilliant as trestle tablecloths finished with pure white cotton runners. In our beautiful listed mill building, we think hessian works very well with the prominent industrial elements on show. We love fabric at Livingstone Textiles, and we love coordinating with them and having fun. Here are a few images of how you can put fabrics together to balance them. The beautiful lime greens and yellows work beautifully with the greys and blacks. The key to using bright colours is to balance them out with a subdued colour. If you would like any help on deciding on fabrics for your home we would be happy to help. Pop by on our stores either in Bridport Dorset or Yeovil Somerset and have a word with our helpful staff. Summertime stripes are our featured fabrics this month and these are our favourite range. The ramake design is part of our stock line and is something we always have in. They are a fabulaus design that work as curtians and blinds. They have a very high maridale rub test so would be perfect for upholistery and cushions. 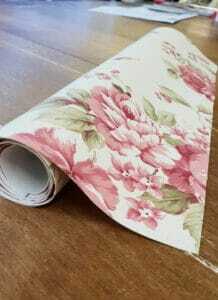 We have this fabric in a range of different colours that would fit in with most other colours. These lovely summertime cool blue remake fabrics would work beautifully with the sketchy seagull design on this fabulous fabric. We love contrasting fabrics together as in doing this it can inhance a particual colour in the fabric on in the room setting it is going. These too would partlcally well as the linen coloured background picks out the lined coloured stripe. The prestigous seagull and seaside fabrics would also look complament this fabric range. All of these fabrics are avaialbe on our webshop and our shop in Bridport Dorset. If you wouldl like a sample of any fabrics that have been featured on this website please do contact us and we will be happy to help. This lightweight water resistant fabric is proving really versatile and popular. It’s easy to sew and has a nice finish which is not ‘plasticky’, making it perfect for outdoor cushions. We’ve added a couple of new colours to our range, this really seasidey red and blue stripe, and a lovely subtle purple pastel stripe. To see the full range or request a sample, just click on the webshop button below. With the sun beginning to make a performance and the weather starting to get warmer you might be dusting off your deckchair, and have come to realise that it needs some new fabric or thoses bench seat cushions are looking a little more worn than you remember them last year. If this is the case have a look at this weeks featured fabrics. We stock a range of deckchair fabric in 5 different colourways that are 42- 45cm wide (depending on design) This makes them perfect for most standard deckchair without any cutting or hemming. In most cases all you will need is 1.5 metres of material and some nails (depending on deckchair please check before purchasing) and we have even made that easy for you by selling deckchair kits. Within these kits, you are provided with 1.5 metres of fabric and 26 nails. Featured this week are a range of beautiful summer themed stripes. These would be ideal if you are wanting to bring the summer into your home so you have memories of the summer all year round. Thes striped fabrics would all work really well as blinds, curtains and cushions. Interested in seeing more? Visit our webshop to see more featured fabrics and our full range of craft and soft furnishing fabrics. Being so near to the seaside, the early signs of spring make us think of sitting on the sand with an ice cream and what better way to do it than in a good old-fashioned deck chair! If yours has seen better days, you can easily revamp it with our specific canvas deckchair fabric. We also sell packets of decorative upholstery nails to complete the transformation. We have seven colourways in stock – plain green, blue & red, blue with a turquoise stripe, red and cream stripe, bright stripe and pastel stripe. All the fabrics are 17″/43cm wide to fit a standard deckchair and can also be used to repair directors and other folding chairs. To replace the fabric on a standard deckchair you will need approximately 1.5 metres of fabric. If you would like to buy deckchair material by mail order, contact us by email or phone us on 01308 456844 with your requirements. Or you can simply call in to the shop and get ready for summer!